Myoko festival in Arunachal Pradesh is about friendship between the Apatani villages. If you’re bewitched by the culture of the Northeast, here’s another reason to make a quick trip to Arunachal Pradesh. The Myoko Festival is an annual celebration in Ziro Valley, especially by three indigenous tribes namely Diibo-Hija, Hari-Bulla and the Apatani. It’s a 10-day celebration; it goes on from March 20 – 30 every year. Myoko festival is celebrated to extend and strengthen the bond of the family, and bless the members with fertility and fortune. 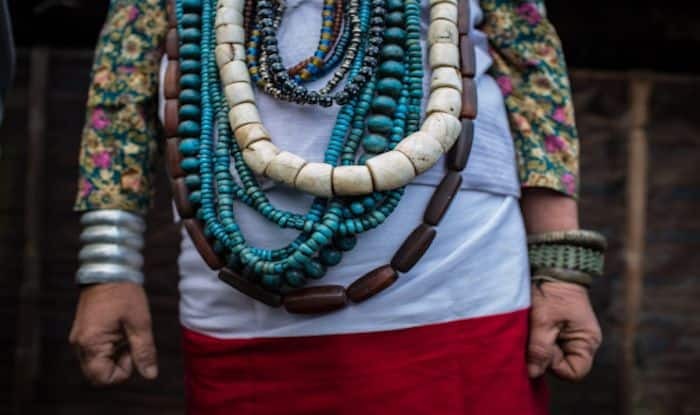 The most revered member of the community – the Shaman decks up in ancient Apatani garments and accessories and leads the proceedings. They slaughter pigs and chickens as a custom of this festival. This commences early morning; the Shaman recites long prayers and the women, mainly married ones, sprinkle flour and rice beer on the pigs which are tied to the bamboo poles. The Myoko festival is also an occasion dedicated to renew and revive old and new friendships. Offerings are made to Donyi Polo (the divinity adored by the tribes) for a prosperous year ahead. This is the time of the year when the Apatani tribe members pray to ensure better cultivation, protection of the grains and the well-being of villagers and livestock. The reason why you must attend this festival is because it gives a noteworthy insight into the lives of the tribes of Arunachal Pradesh. You have to see them perform their most distinctive rituals to believe it. The most interesting and heart-warming ritual is that all houses in the region are open 24/7 during the festival and anyone who goes in is treated to a fancy meal along with a glass of rice beer. Apart from the rites, rituals and prayers, there are several stage shows, sports events, and singing competitions that happen at the Myoko festival. If you’re travelling to Ziro, make sure to put up at one of the home-stays for an authentic experience.